It feels good to ALMOST have a room completely done!! I have a lot of little projects going on right now…OK…A LOT of BIG projects going on right now. So, it feels FANTASTIC to walk into a room and take a deep breath and sigh a sigh of satisfaction. This is how I’m beginning to feel about the bedrooms and the bathroom on the south side of the house. We are almost done with all of them! Just little cosmetic things mostly, like baseboards and touch ups on paint. 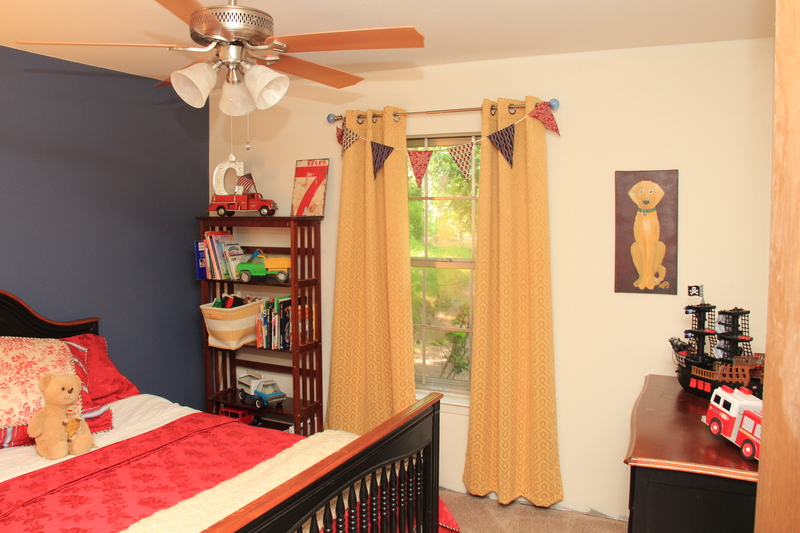 So here was my son’s ugly room before! As you may recall this house was YUCK, YUCK, YUUUUUCCCCCK!!!! The smell was nauseating (you can ask any of my extended family members). The rooms dark, moldy, wet feeling, out dated etc. 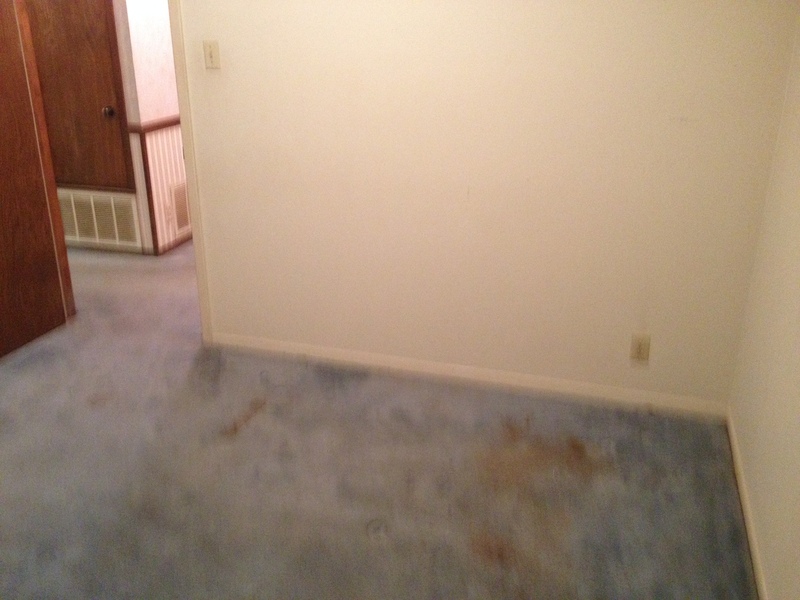 The first night of our home ownership, we (my husband) ripped out the carpet and pad. We invested weeks of trying to clean the concrete floors. Then my wonderful husband scraped the popcorn off the ceilings (that stuff absorbs years of smells). 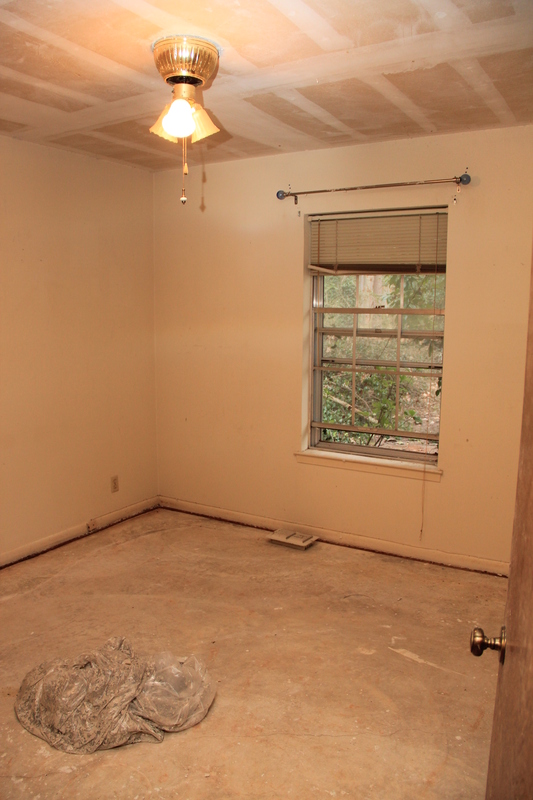 Next, we had the walls and ceilings slightly textured. 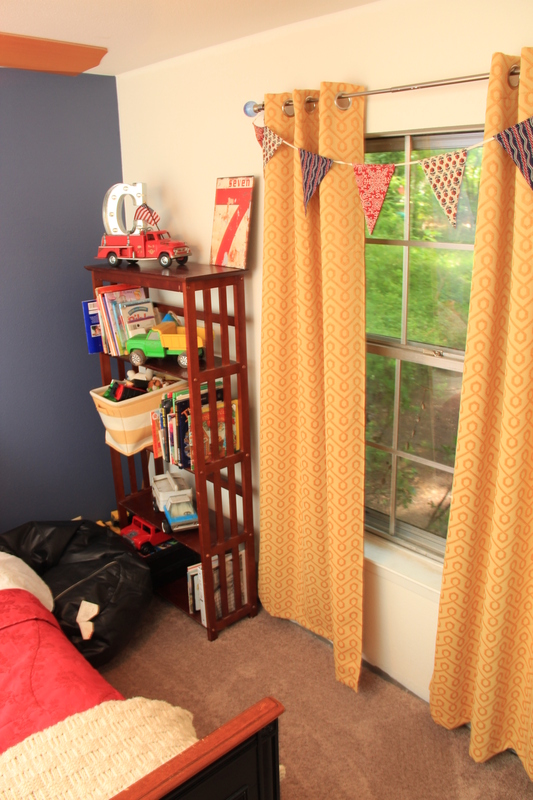 We replaced the light fixtures which also made a huge improvement! 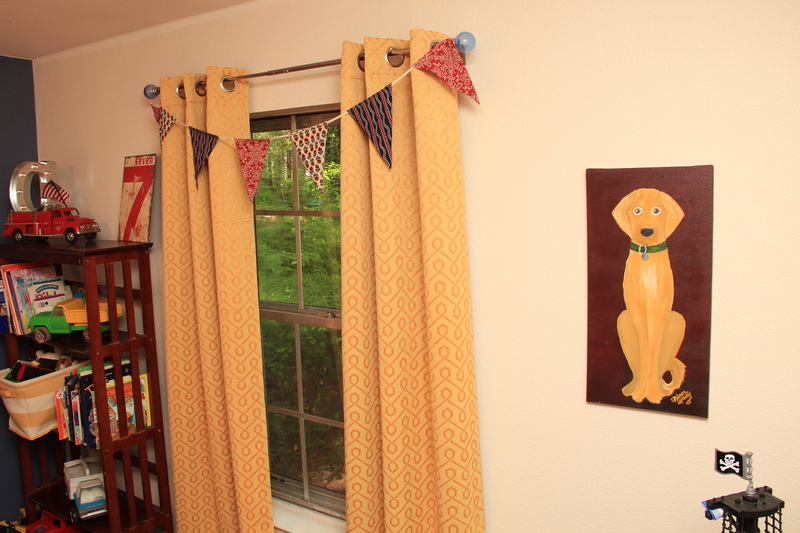 The picture below was my inspiration for my son’s room. I wanted to try and use things we already had, if possible. Save some $. 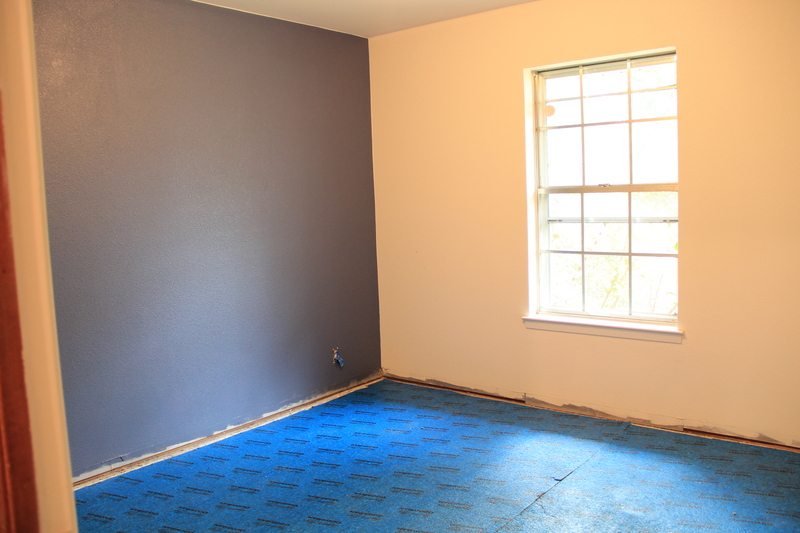 We lived with just this blue pad in the bedrooms for two weeks as we patiently waited for the right color carpet. 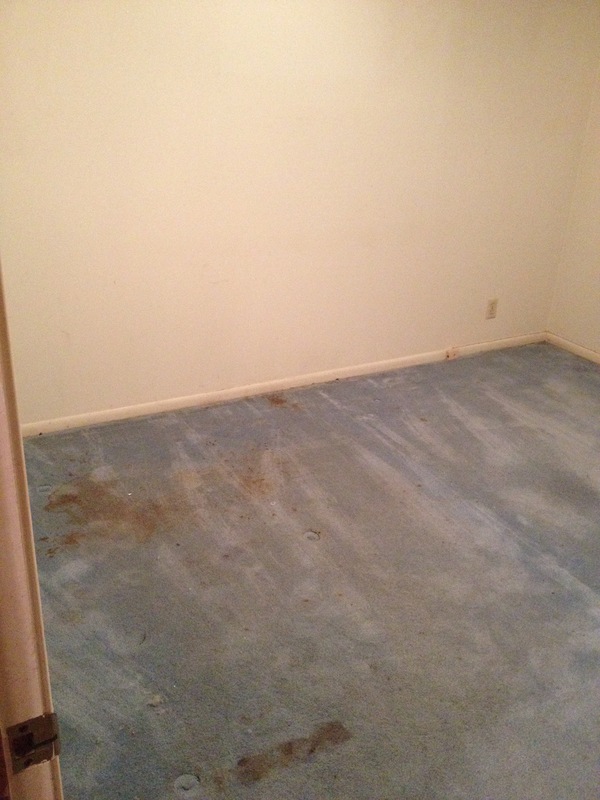 We finally had new carpet installed and if you don’t know that story….THAT was a fiasco!! The first time the installers came they started installing the WRONG color! I knew I couldn’t be that bad in picking colors. Glad I questioned them and we found out it was their fault on their end. Therefore we had to wait an additional two weeks for the right color to come in. Got to bring out my pretty red bed spread that was given to us as a wedding gift. I LOVED this set for so many years! Funny how your colors and themes change through time. Glad I could use it again. I LOVE vintage toys!! 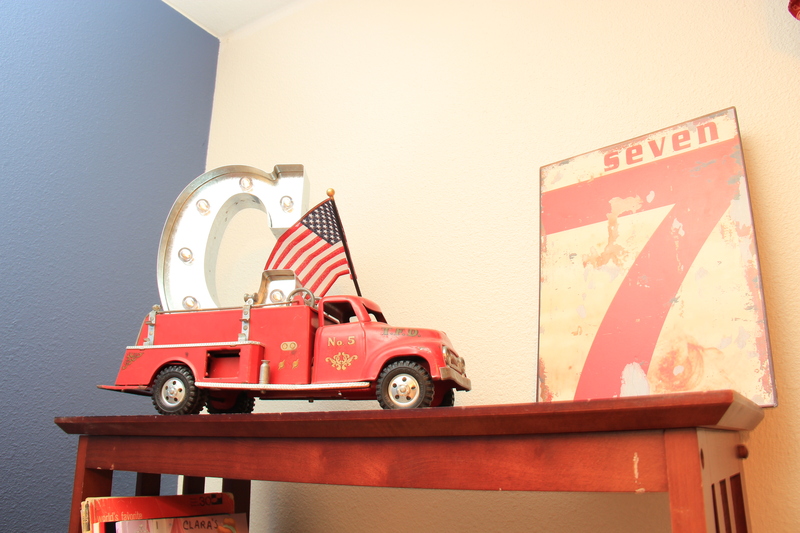 This red, fire truck was my father in law’s toy when he was a boy. Next > I Love What Chrome Can Do!! I knew you girls would!